Women with large breasts often have concerns when breastfeeding their babies. Will you somehow smother your little one? Could you produce too much milk and become engorged? Will your flow be faster and more uncomfortable for your baby? Today you'll hear from large breasted women who are successfully breastfeeding their babies about what works best for them! Our friends at Rumina recently announced the winner of their Full Figure Ambassador and Model Search! Learn more about their new bra designed for meet the needs of full figured women. 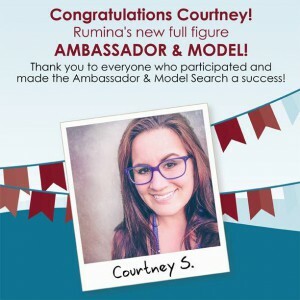 And meet Courtney, the winner, who’s also a panelist on our show today! We try to be the best parents we can be, but mistakes happen despite our best intentions. What funny breastfeeding “oops” have you made recently (that you’re willing to admit)? Send us a voicemail through our website!